JDP's range of products incorporates Grass Protection Systems that offer excellent load bearing performance combined with aesthetically pleasing appearance, by using grass or gravel infill. They can also be used as part of a SUDS solution by allowing water to filter through, unlike hard surface areas. Heavy duty thick slip resistant extruded plastic grid for protecting and reinforcing grassed areas and capable of supporting heavy loads (frequent car use). The mesh allows the grass to grow through the apertures, thus disappearing from view. 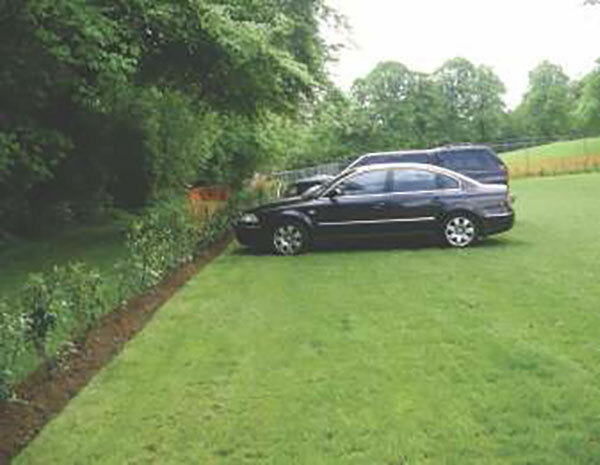 Essential for grass overflow car parks, airport taxi-ways, grass paths, disabled access routes and grass verge protection. A strong extruded plastic mesh for protecting and reinforcing turf that is prone to becoming rutted and muddy. Manufactured in two grades, 'Standard' and 'Heavy'. Once fixed in place grass will grow through the mesh and when fully established the mesh will be invisible and the turf will have a normal appearance.